Seabone is Sparkle's IP Transit service: a worldwide Tier 1 Internet backbone providing ISPs, content providers and accelerators with top performing access to the Global Internet. 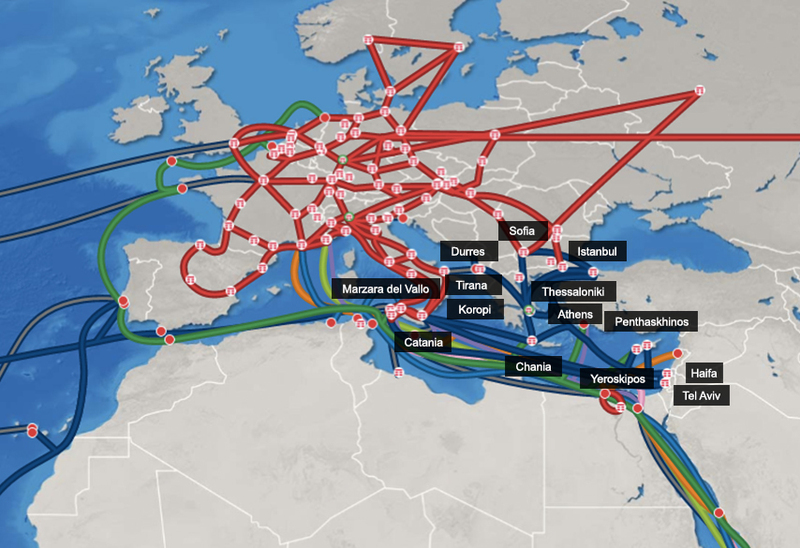 With its vast presence throughout Europe, Latin America and the United States, its unique presence in Africa, the Middle East and Mediterranean Basin, and its continuous expansion in Asia Pacific, Seabone is one of the Top 10 global IP players providing “state-of-the-art” performance, robustness, and reliability. In addition, DoS/DDoS attacks are managed with customized solutions as Self DDoS Mitigation & Cleaning, a more sophisticated option for smart customers to self-protect their networks, and BGP Flowspec, a new mitigation technique to rate-limit or drop the attack at the edge of the backbone. Furthermore Seabone offers the opportunity to bundle multiple different services over the same access port providing customers with efficient and scalable solutions. Sparkle is committed to providing reliable, high quality Internet services through its global IP network. Its extensive worldwide presence means Seabone puts Internet access right at your fingertips. The innovative concept and architecture of its meshed network provides a congestion-free environment, ensuring fail-proof service to customers. Fault tolerance and redundancy are fully granted by a network that circles the globe reaching across Europe to Asia, from Asia through the US and from the US back to Europe. Seabone provides customers with a comprehensive Service Level Agreement that guarantees availability, packet delivery and latency. Contact Center is led by a team of professionals who welcome customers in four different languages and a Self-Caring platform accessible via WEB. The backbone management is performed in NOCs located in Europe and Latin America.